Using SeedStar™ can make seeding an easier, more enjoyable experience for producers. With the John Deere GoSeed App, operators can also ensure they are making the most of their equipment while they’re out in the field. Let’s take a closer look at the app and how it can be used to boost efficiency. When you first open the app, you will be notified that GoSeed does not replace the operator’s manual. That being said, it is important to read the operator’s manual to learn how to properly use your equipment before deploying any information you use from the app. Once you have done so, you can press “Accept” and move forward. 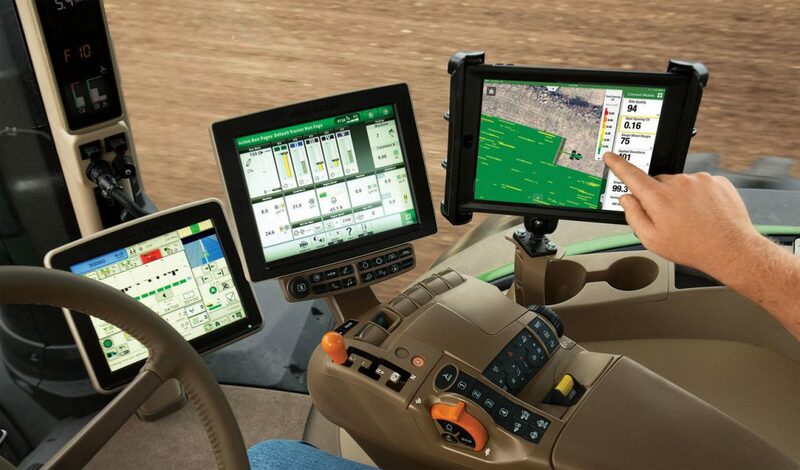 Once you’ve pressed “Accept,” you will see a page that says “Help us help you.” Here, you will be asked to share your data anonymously with John Deere. If you choose “Yes,” you will anonymously provide information that helps Deere identify crashes, bugs and other relevant information to improve and enhance the quality of company products. If you press “No,” you can opt out of this option. After you have made your decision on sharing analytics, you will be welcomed to the John Deere GoSeed App and asked to tell the app a little about your equipment. Pressing “Yes” and opting to do so will bring up a series of questions. First, you will be asked what your air cart capacity is. Then, you will be asked for your air drill model. Afterward, you will be asked for your drill’s working width, and whether you are using a double shoot or single shoot manifold. The app will also inquire about your drill’s row spacing before finally asking you to save your equipment data. The first two options of the main menu will help ensure that you have all of your equipment set up properly. “Using SeedStar,” in particular, will help you operate SeedStar quickly and efficiently. 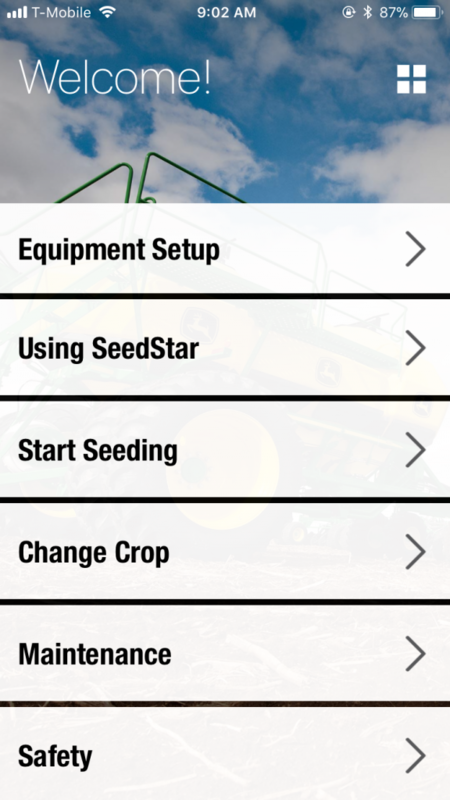 “Start Seeding” gives you all of the information you need to begin seeding, from how to position your closing wheels to how to gauge wheel seeding depth. “Change Crop” will help you prepare for meter cleanout. Finally, “Maintenance” will give you helpful tips on how to maintain all of your equipment from the beginning to the end of the season. “Safety” rounds out the menu with insightful tips on how to follow your machinery’s instructions properly, and “Notebook” gives you a section where you can keep tabs on your own progress as you work. If you have any questions on any of the John Deere seeding equipment, contact your local John Deere dealer.